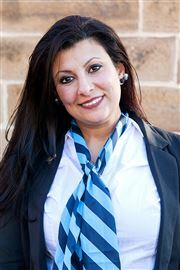 At Harcourts Parramatta, Jessica is the first point of contact as Office Manager. She has a background in Marketing and Communications, completing a Bachelor of Communications & Journalism at UWS. Exceeding her expectations, Jessica was also selected for the Honours Program. “Growing up in a family who loves all things property, from buying, selling, investing and designing homes, Real Estate has become second nature to me.” Starting as a Sales Assistant, she wanted to challenge herself further and embrace her knowledge and experience in writing and marketing. Managing the team at Harcourts Parramatta and overseeing the accounts and marketing for the Sales & Property Management departments, Jessica enjoys what she does and is enjoying the growth that this industry provides. “What I enjoy most is that I get to combine my writing and marketing skills with my passion for real estate.” Very approachable and providing excellent customer service, she always strives to assist clients in the best possible manner. What my clients are saying! David was most helpful and honest with us. Extremely happy to recommend David to everyone. David did all he said he would. Fantastic Sale result and we are extremely happy “John and Sue Joannou” David Ryan is a salesman extraordinaire and I cannot speak too highly of his professionalism and expertise. Super impressed with his quiet confidence, his knowledge of the market and his ability to interact and communicate with all potential purchasers. David is extremely honest, was always patience in answering my many questions and above all I found David to be extremely motivated and always willing to put in that extra effort needed, to secure the right sale price. “John and Dorothy Butler” David Ryan An outstanding performer who constantly proves that he is a skilled negotiator, with a long standing career in Real Estate Sales, for 12 years plus. David has a level of professionalism and expertise that has seen him achieve some of the most prestigious awards in the industry. Driven by accomplishing premium sale prices and satisfy all his client’s needs throughout the entire sale process. David attributes his continued success to being confident and determined to supply exceptional customer service. A key factor is being able to identify the key marketing points that will differentiate your property from the competition. The custom designed marketing plan will attract that “special buyer“willing to pay a premium $$$$....... Sale Price. David absolutely loves what he does, has superior local market knowledge, is laser focused on every detail and brings with him good old fashion service, integrity, loyalty and hard work to your property. 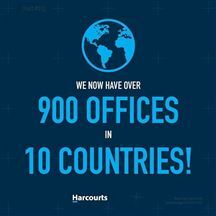 “Harcourts” is a natural fit for David as the company is a market leader with constantly evolving internet presentations and superior use of technology, powerful professional marketing tools and access to a global network of buyers across the entire operational base. Combine this with the unique communal “Buyer Data Bank”, which allows us to capture every possible quality buyer enquiry. 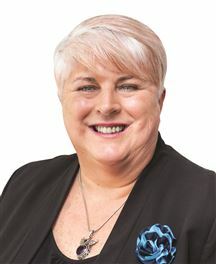 “ GLOBAL ..........NATIONAL.......... LOCAL..........YOU ” The Harcourts brand will greatly benefit my clients in a way, that no other real estate business can.’ With this in mind I look forward to having an open discussion with you, regarding all your real estate needs. 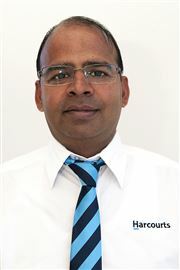 William Sokoya is a member of the Harcourts Parramatta team who adds tremendous value with a sense of duty to all. With his distinct flare for promotions and selling garnered from many years in USA, William can be seen all around the Parramatta area. His passion for people and exceptional service standard is unmistakable. 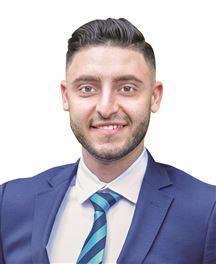 With his great communication and positive energy, William has made a tremendous impression on people and is recognised in the Parramatta local area. William has a Bachelor of Business Administration degree and a major in Marketing. His training and over twelve years business, campaign promotions and selling gives him a unique way of doing business in a dynamic environment. William's mantra includes Respect, Understanding and Results. Above all else, William sees people as individuals and not just numbers. Furthermore, his alliance with Harcourts projects and in particular Ramez Riad continues to strengthen his growth trajectory. Ready to Move into Now ! Living Lucky on level 8!